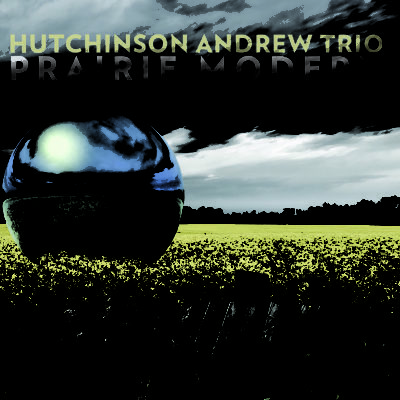 A distinct voice emanating from Western Canada, the Hutchinson Andrew Trio is excited to release their third album ‘Prairie Modern’. The album consists of 13 original tracks that are a reflection of the vast array of musical and personal influences growing up in Canada’s Prairie’s. The album features 6 tracks with Grammy-nominated saxophonist Donny McCaslin and 3 tracks with Brazilian percussion star Rogerio Boccato. The music represents the harmony, beauty, energy and excitement of the modern Canadian West. HAT’s music can be categorized as contemporary acoustic jazz. They bring their unique Prairie perspective to music mixing elements such as contemporary swing, latin, odd-meter and acoustic groove. Kodi and Chris list artists such as Robert Glasper, Aaron Parks, and Brad Mehldau as some of their influences. Their music is representative of where they come from; reflecting the serenity and beauty of the Prairies and Rocky Mountains, alongside the excitement of the vibrant and growing young cities of the Canadian West.